A UK-based autonomous vehicle specialist is starting a ‘world first’ trial showcasing how autonomous technology can deliver improved mobility and independence for people with health conditions and disabilities. 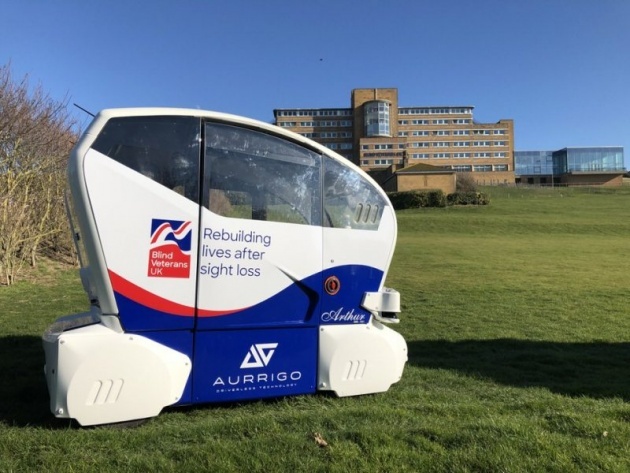 Aurrigo is conducting the driverless pods trial involving blind veterans in Brighton as part of an exercise to explore possible ‘first and last mile’ transport solutions. The company has joined forces with Blind Veterans UK to develop a six-month program of testing and expects to achieve valuable real-life experiences it can use to improve the technology going forward.